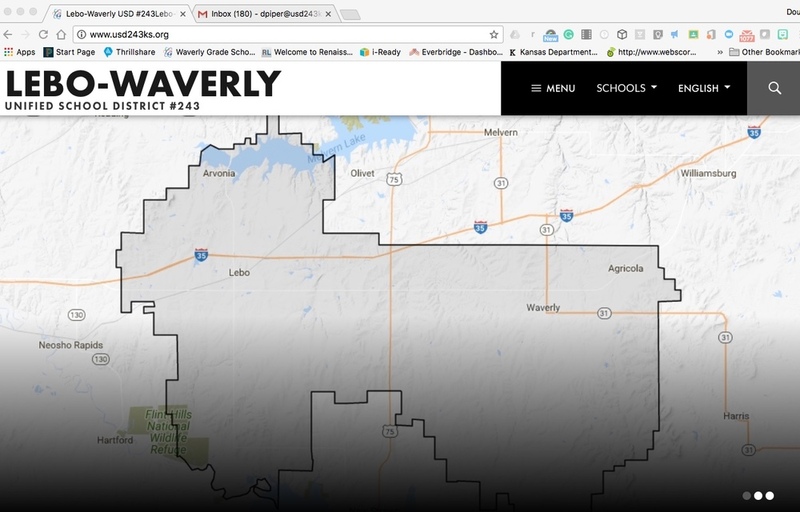 USD 243 Lebo-Waverly's presence on the web took a leap today! A new webpage went live on Wednesday, January 3. It is full of new features and presents much easier navigation to information. It also makes the updating of the pages and events more convenient for the staff and webmasters. There are now only pages for Lebo and Waverly Schools. This will allow information to be accessed from a more central location. Social Media, Facebook & Twitter, connects directly to and from our site. Events and News are on the front page for easy access. Connection with PowerSchool. We can create call/text list directly from PowerSchool. In case you hadn't noticed, we will get a text/call from the school if you student is absent. All the important links can be found under the "MENU" at the top of each page.